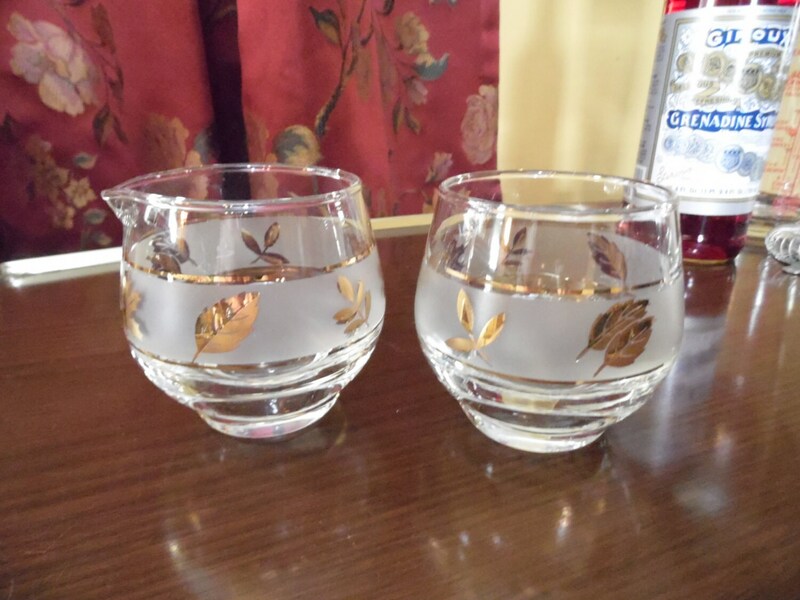 This midcentury gold leaf sugar and creamer set is made out of frosted and clear glass with a band of gold oak leaves. The pattern is called Golden Foliage. Some call it Gold Leaf. It was made by Libbey in the 1960s. This sugar bowl and creamer would look great in your retro kitchen. It would also be pretty on a midcentury sideboard or bar cart for after drinks coffee.